She is right. It is so easy to slip into bad habits. I bothered my mom and dad with remote, non-engaged laughter. They had to struggle to get me to focus. It was like a motor car rolling downhill with broken brakes. It was not pleasant for me either. Autismland offers an escape from my stress, but it creates stress for everyone else. I’m overly stimmy if I’m nervous like over-charged electrical energy. How to deal with this is my life’s struggle. I did get it together for my big speech. I was calm the whole time, but leading up to it I was an electrical current that was out of whack. Really I feel much better now. It is very tiring to be stuck on a current of energy. I exercised and we walked. That helped, but it is like this: I will need help either from neuroscientists or electricians. Ha ha. The whole world goes to Disneyland. It is an imaginative talent, to be sure. It is sort of like travel into space, or time, or into a cartoon, in between the crowds and the long lines. The last time I was there I was so sensory overwhelmed I had a feeling of real fear. I saw dark tunnels in the lines, darkness in the rides with sudden bright colors bursting out. 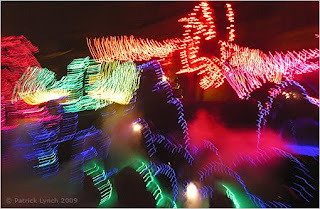 In the really kiddy-oriented ride, Winnie-the-Pooh, I was so bombarded by bright colors in the darkness, I almost panicked. I had to control myself from fleeing. The Pirates of the Caribbean is so dimly lit I couldn’t bring myself to even get into the boat. I know the people I was with were disappointed, but I couldn’t do it then. I wish I could because I rode it when I was little and it is a cool experience of animation in moving figures. My favorite ride is the Jungle Cruise. It is mellow in a visual sense because it is naturalistic. I enjoy pretending I’m on a safari. I also love the Autopia because I can pretend I’m driving even though it is easily the loudest environment imaginable. I need my headphones all day in Disneyland. Somehow I did the Indiana Jones ride. I can’t believe I did, in retrospect. It is dark, scary and fast- all things my system hates, but it was really exciting and I was entertained by it. It was not in bright colors so my visual field could cope. I would do it again, believe it or not. The roller coasters scare me so much. I have the fear of flying out so I can’t ride the Matterhorn or Big Thunder Railroad. I know I won’t fly out, but I feel almost panicky even thinking about these rides. It’s a Small World is a really terrible ordeal. The colors, lights and incessant song drive me bonkers. The Haunted Mansion is creepy. I can do it though. It is not dark in the beginning so I can go in. Once it’s underway I am fine and it is super creative and well done. I think I shouldn’t go to Amusement Parks because money is wasted on me. I want to do rides I can’t get myself on. I hate crowds of people and noise. I think I need the beach or trails to relax. My sister is a huge fan of Disneyland and went this week. I remember my last trip there vividly. It was so hot, crowded and noisy. I tried to cope but I struggled to enjoy myself. The conclusion I had is I can’t go if it is crowded or hot. I know some autistic kids who love the sensory high of Disneyland. They go on roller-coasters over and over. They have sort of a drug-experience on some of the rides. In my case it is not a stream of sensory pleasure, it is an assault on my overly sensitive system. It is an amazingly creative place, but on a scale of one to ten it is an eleven in terms of sensory challenges. To give you a hint of my experience, imagine all the rides at deafening volume, the colors at dizzying intensity, the dark shadows ominously terrifying, the heat oppressively scorching, and the sea of humanity incessant. Well, that was my last trip there two years ago. Disneyland is a test of autism endurance, but it is a cool place in any event. So, school has started. It is feeling a tad overwhelming. I try so hard to not lose my composure. It is a struggle all day. It’s interesting how it affects me. I have an overload of heat, crowded halls, and sitting still. I get so edgy in an instant. I try to control myself. It is a huge effort but I must do it if I want to achieve my dreams. Still, the struggle is hard. But isn’t life a struggle with some benefits of reprieve in between the challenges? It isn’t the other way around. We kid ourselves in imagining it is. 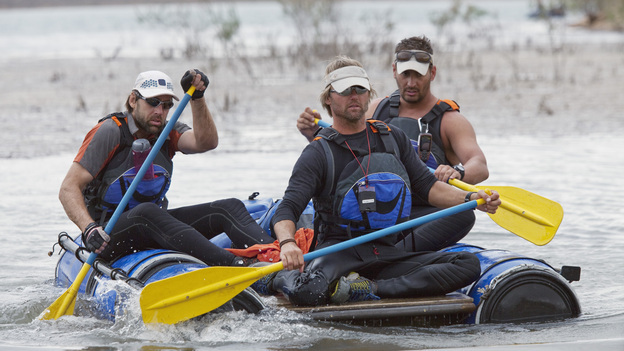 I watch a show called Expedition Impossible. It is a race competition in Morocco with teams of three trying to be the last team standing. One team gets eliminated each week. I see how hard they push themselves in high altitude, or in deserts, or in all kinds of different terrain. They have to mountain climb, repel cliffs, kayak rapids, ride camels, row and sail rafts, do puzzles, and overcome illness and fatigue. It is interesting in a way to see all the types of people in the race. Some are supportive and some are obnoxious, and some are weeping in overwhelmed self pity even though they chose the challenge. It is like me in high school. I chose it, so I must be the not-obnoxious or weepy one. There is a team I will tell you about. It is a wonderful group of three athletes. One is blind. One is a US soldier who injured his leg severely on the trek. One is the eyes of the blind contestant. In a way he is the spirit of the group. He is so positive and they are all amazingly positive and determined and tough. The blind man, Erik Wiehenmayer, is incredible. He repels cliffs without sight, climbs rocky mountains, kayaks rapids, crosses a river on a zipline- all by verbal tips, and courage. He won’t let his disability stop him though his trek is harder than all the others. They all struggle too. He does it with no sight. I see his decision to fight against limits. He won’t surrender to the easy way out. It is a good reminder to me too. I have a choice to be lazy or weak, but I will do the struggle. I too want a life not limited by my disability, so I guess I need to remember when I get overwhelmed or school is hard that my goal is my liberation from stagnation and more. I want to succeed as Erik shows me, in spite of autism and in spite of challenges. The news is really upsetting me. It’s horrible how it is only grief or disaster, natural or man made, that seems to get reported. The events are far away, but my overly sensitive system transports me to Japan and Libya and Jerusalem and in my mind I’m there. I read in Anne Frank’s diary and in my neural pathways I’m hiding from evil Nazis in an attic. The bummer is, I can’t control it. The truth is, being sensitive is a gift in a lot of ways, though the curse is moments like this. The belief that I, as a person with autism, have no insight or compassion is off base. Even light movies like Indiana Jones get me upset internally. I imagine running from arrows, boulders and being in snake-filled pits and I can see the exciting story, the humor and all, and I still get frightened for nothing. I feel autism is highs and lows of intensity. I can’t hide from feelings. I have to deal with them. The news is overwhelming in its sensational stories. I know I have to filter because of bits and pieces that distort the whole, so I think I’ll take a break, starting now, from listening to any more news and news analysis. Then I can focus on the brighter topics like homework and folding my laundry without thinking of nuclear reactors, disasters, and sorrow. For the moment the world looks safe in my mind and I can stop crying in my heart.